Then a website underneath from someone in my friends list in steam. If you get this from a user in your friends list, they might have been hacked. Do not click on the link if you get this message from anyone. Thought I would come on here and warn others of this. I hope you all have an awesome day! And yet I have seen two threads about specific users saying they where hacked today. Natural selection...... if someone is stupid enough to think that a random "guy" add you to steam for give a free game when you click on an strange web...... this "stupid" deserve all the scams posible. Except if you actually read the issue, you would realise it's not a random guy, its main vector is through friends. The thing about friends who actively speak with one another, they sometimes send each other links. Depending on the typing style of certain friends, it might sound somewhat in-character. The most successful one I saw actually posed as a link to an image, but the address was slightly off. The page it linked to wasn't a direct image but an address that threw the trojan at you. Some peoples browsers/AVs intercepted it immediately, not even downloading. Some weren't so lucky. A major part of phishing is presenting a believable front so that people don't turn their scrutiny onto it. For instance, people trust the official steam authenticator with good reason, so another method of phishing was to recreate the authenticator log-in page as closely as possible. People no more 'deserve' to be scammed for not noticing concealed signs than you 'deserve' to be punched if you don't duck quick enough. 'Deserving' primarily something means a morally justified result, not 'it is an expected result'. And did they accidentally type their Steam username and password into a fake Steam login window while not noticing the URL was nothing close to Steam's? possibly. im only putting forwards the likelyhood of misclicking due to steam chat being utter crap. All of the links on the fake login page aren't masked and are the same as above. The the Steam menus (Store, Commnunity, About, Support) were the same URL and didn't function. The language at the top right was set to another language, although the page was still English, and changing it to another language didn't change the language. and again, anyone who use his pass and account in a random web for get "free things" deserve any scam. what are we monkeys with the intelligence of a stone?? Did you just decide to not read my bit about the word 'deserve'? I'll put that one down to the language barrier I suppose. You still joined up on this site, which is for "free things", using the authenticator. No matter how much research you did into the site itself, it only takes a tiny lapse in perception to miss a phishing site, as the visual design can be mimicked down to the pixel, and web addresses can be spoofed switching "m" for "rn" and lower case "L" for upper case "i". Phishing itself relies on mimicry and camouflage, background checking doesn't make you immune, it just validates the authenticity of something that can be mimicked. Not every phishing hit is due to haphazard behaviour, and social engineering behind it can be subtly effective. The very existence of the authenticator login page is something of a comforter to people, giving a sense of security that can be abused. And you're right that it's rare for people to give more than they get, but you say that like freebies aren't a thing that are frequently seen on this very site. The forums often scout extra free key giveaways, and these are done to benefit the creators or the hosting sites as a form of advertisement or luring point for sales on other games. Yes, people need to be more cautious, and treat all digital exchanges as they would a typical email with an embedded link, but the majority of people learn caution through making smaller mistakes. If you have never been exposed to malware and never had your wake-up call, it can be easy to be lured into a false sense of comfort by the sight of an authenticator. The pointless judgements you're dishing out in the face of people getting their accounts jacked doesn't speak too positively about your own mental refinement. There was also one yesterday I think with the same link as these two from the looks of it. I just got a message from a friend who sent that same link so its spreading fast. People just cannot resist a free game unfortunately. You say that, but people tend to trust people. Plus, free games aren't some mysterious things. Instead, free games are extremely common in these circles and I personally know multiple people who share free deals they've noticed with me. If one of those people shared it with me, I'd be skeptical due to the link, but I'm also very paranoid. There's a reasons accounts get hacked. Discounting the believability of these types of messages does nothing more than shame those that got screwed over and just makes you look like someone who lacks any empathy and no real perspective on the world around you. People like us are a minority. People who waste so much time online that it'd take a lot to trick us. But we're the minority. Most other people have more varied lives and so they don't have the time to learn every aspect of the Internet. I love this comment, well put. There's always something out there that will catch us off guard if it were applied to us. No one smart enough to catch all phishing methods and that's why I don't really approve of people having a massive hubris around this subject. Your mom texts you, "I was just in a car accident, but I need you to transfer at least x amount of money to the mechanic's EBAN. My bank account's messing up. Don't worry, I'll pay you back. Please hurry though. <3"
Would you transfer? I mean, many won't, but some will. And having "some" fall into that trap is enough to make it lucrative. I'll fall for a scam again in my life. No question about it. Actually, in the opposite side, my paranoid being meant that I lost out on a 5€ gift card for a store. I didn't trust the link and it expired. The next day I found out that it was a legitimate thing that the store was doing. So technically I fell into a scam that my mind created for myself through paranoia. I wouldn't go as far as massive hubris. Thing about situations you're not aware of is that... you have no idea they can happen. I myself I'm little curious how our brain works, how we see things, and short version is, our brain lies to us all the time. Because its sorta more cost effective that focus on every detail of everything. But then again, it backfires at us every now and then. I just tend to use hubris as per its definition, which basically is "excessive pride or self-confidence". Main emphasis on the self-confidence in this topic obviously, since pride wouldn't apply here. Wasn't a jab at the user or any users like him, but instead just an observation. Reminds me when I texted my gf about something being molded and got a return message she was in the hospital. I didn't believe it, but really, I couldn't really risk it IF it were real. I was pretty pissed off about that. unfortunately. especially if it comes from someone on their friends list not knowing they were hacked. Didn't knew the rest of the lyrics were that lewd. yeah been trying to get a hold of this person by other means to let him know. what is the star with ur nickname? true I was in a hurry. Yep, had that message today from a hacked friend account too. Be careful right now. Received the message earlier today from someone in my friends list. Didn't think much of after the first message, after second one I just removed the friend. The name on the account didn't ring any bells and the link was to a site not known to me so it was easy to just dismiss it. I got the same messages today. You can report the user account to Steam as being compromised. I have done that before but they said there was nothing they could do until the account holder reported it. thanks for the heads up, I had a minor issue when I was a total newbie on Steam and I clicked on a chat link, fortunately it was just an old virus that basically took over my chat and spammed a message to all the contacts (and if they clicked on the link, it would do the same and spread to all their friends).. it opened a page written in Russian and my Steam friends told me that it was something used years ago to transfer all the inventory items to an account (that had been closed years before, so I don't know how that virus still was running xD)..
hugs! you know! thank goodness you know! Was trying to get a hold of you on discord! It's ok! I won't remove you. I hope you get it fixed! Haha, I was warned that you were probably compromised since me and that person were mutual friends. These things happen. No reason to feel embarrassed or that you have to defend yourself. Stuff happens and we just need to try and learn from these situations. You'll probably be way more paranoid about links for a while now whether you mean it or not. Thank you all for the heads up warnings. Just got the message. Be careful everyone. Checking the account it seems wiped clean, nothing showing at all. Reported but not really knowing them irl not much else I think I can do for them. Valve needs to work on that. Hard. What's the point of an authenticator if anybody using the "sign in through steam" feature, which is basically everywhere (and unavoidable in some cases) just lets anyone hack into your account and disable the authenticator without any email confirmation or any secondary approval?? Agreed, it doesn't seem to stop anybody from anything. Not to mention that it would be fairly easy for Valve to implement an additional layer of email confirmation. Shame on them! But who knows what they were thinking as they designed their 2FA model?! GOG has a code sent to your email, every time you log in. I find it really annoying. I prefer how HB or Uplay do it (Authy and G Authenticator). How would email be any better? If they are stupid enough to login to a phishing site, they are stupid enough to confirm login via email. Also some idiots have the same email username/password, as on some already leaked sites. The e-mail could mention stuff like IP and country. That could also be added to the Steam Auth. But it would be useful if I got an email, if there's a login from a different browser/device, like I get for my Google account. and when you do set up 2FA "properly", then you never ever receive a single e-mail notification/warning/confirmation when the authenticator is being used. What do you mean by that? I get a notification on my phone when the Steam login asks me for 2FA. If someone gets your credentials and tries to login, you should get a phone notification with the 2FA code. Unless you somehow give it to them, they shouldn't be able to login anyway. They actually USED to do that. I remember getting mad having to verify my tablet or firefox logins over and over with a code. Everytime I put my username and password, Steam asks for my authenticator code (even if I'm logged in, and I want to add money to my wallet). If I click the "Sign in with Steam" feature, there are 2 scenarios, either I'm already logged in or not. In case A, Steam doesn't ask me for my username or password, it just let me in. In case B, it will ask for my username and password, and just after that, for my authenticator code. Well, I don't know how they gained access to the accounts they hacked but I do know that you can disable your authenticator without any further confirmation once you're signed in which is pretty much the same as having an alarm inside your house that can be disabled with one button. Once somebody has your key, the alarm becomes useless if it can be disabled by just anyone. That was my point. Now I have no idea how they tricked the log-in process. Again, if you have the authenticator enabled, to log in, you need the code, otherwise, you won't be able to access. And you do receive an email saying the authenticator was disabled, and it has a link to lock the account. The system works as intended, and if you enable it, it is not like a house alarm, that can be disarmed for the outside. Is like a normal house alarm, that you arm/disarm with a code. I think it works like this. When you click on the button to sign into Steam, the website takes you to a fake website that looks like Steam. Then you give your account name and password to the site to sign in and then it will ask you for the 2 step authentication code. Once you give it the code, the fake website can immediately sign into your Steam account, disable 2 step verification, change email and password. Yeah, it's really damn weird. I thought that signing in through Steam would only give them access to some basic information about your account or something like that. But I guess I was wrong. More than just a slight oversight. I mean, you go to "steam scam.com", you give them your login, you give them your password, you give them your 2FA code, what do you expect to happen? Of course first thing they'll do is go to "steam real.com", use your login, use your password, use your 2FA and disable everything. Maybe it's to late, maybe it's still time for... some little advice? Mine is: always reply with some strange question (but not necessarily rude one!) after receiving message "you won that or another game" kind. If there is no respond - assume it was send by bot and ignore link! Fortunately I didn't click the link but thought people should know about it. I understand that at first time. My advice is for others. oh! ok my bad. Definitely good advice. Thanks Valve for your "security". Every time Steam ask me for my password, it ask for my security code. If I use the sign in with Steam, and I'm logged in, if it ask for my password, then it will ask for my authenticator. When I changed cell phones in july, I needed to disable the authenticator, and I got an email saying it was disabled. On top of that, I also got that link. I also click the link, and I also got PUBG for free (yay! ), it asked me to log in with Steam, I clicked the link, and the first suspicious thing I noticed, is the pop up had about:blank in the url, instead of steam's url, I opened the iframe link in another tab, and got to a self hosted page, very similar to Steam. everything there was a dead link (download client, login, TOU, etcetc.etc). So it's not thanks to "Valve security", it thanks to people thinking they were going to get a free AAA in some dubious site, and not having the authenticator enabled, because it too much of a trouble to enter 5 characters everytime you log in. And also, not paying attention to what they are doing and where they are signing in. This fake login page also fakes asking for the authenticator code. Now they have all the info needed to login into Steam and disable 2FA and change the password. People with authentificator are being affected, too. Seems from here and your reply to my linked topic you don't understand how this phising works. It indeed, as the user above states requires your id along pass to "login" the fake site and immediately uses that info to hijack your account. Wheter you use 2FA or not makes no difference since the users themselves subvert it, thinking it's a legit login. Which is why you should never login on browser using any other site than steam's own site - https://steamcommunity.com. 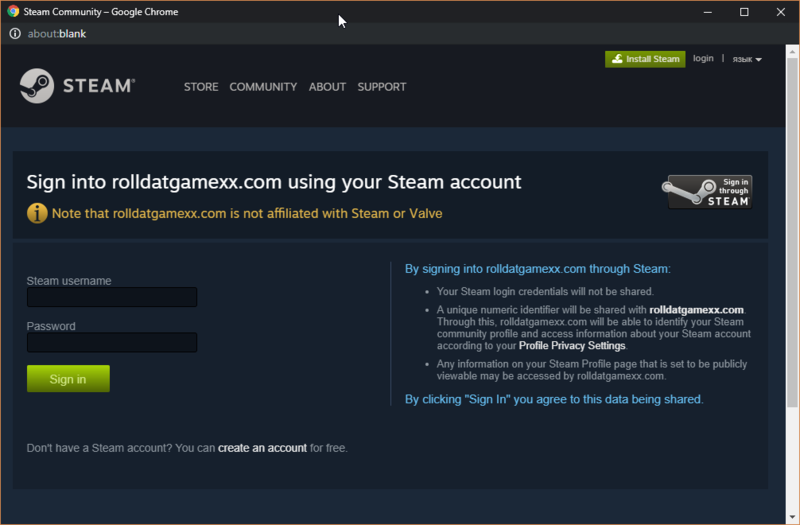 If you're logged to Steam-browser, then any other site will log using your saved steam-credentials. If some 3rd-party site will ask for login after you logged on https://steamcommunity.com, you are being phished. Hopefully you all we be able to understand what I mean? Almost everybody with a Dropbox or LinkedIn account in 2012 has been pwned... because those websites were hacked at that time. Not really linked with users "geniusness". 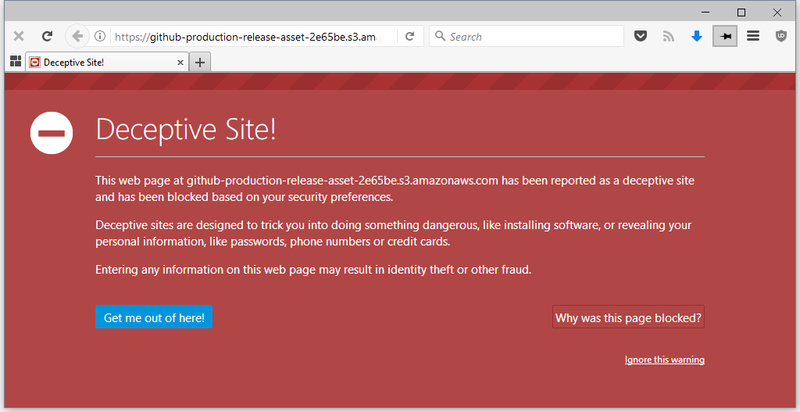 Reporting to Google Safe-Browsing (https://safebrowsing.google.com/safebrowsing/report_badware/ ) should always be your first stop, as that's the service that all the major browsers (with the exception of Microsoft Edge, which uses SmartScreen) use for intercepting known malware sites as they're loading [see attached image for example]. Right, i forgot that in my short explanation. Good that you wrote the comment to add it. thanks for the info sweety but no one can hack me! because i am crazy! ha! good! don't want anyone to get hacked. you're welcome. :) Glad you will know. Expect a new scam message to be sent to you in Czech soon. Yes, I'm safe from similar reason (Polish language), but I've got many friends on Steam from other countries who are using english. Just like that bot spamming message. So all I gotta do is give my steam account and I get a shiny free game? Sounds like a deal. Thanks for the heads up...I hope everyone gets their accounts back. I tried bringing this website to everyone's attention a month ago and and got a lot of heat for it when I posted the message and link. it was from a random steam message in Japanese just like a few others have reported. Whatever game you win, during the countdown...the visible part of the game key remains the same. We need Moderators to be more involved and send out messages when issues like this are first discovered, rather than complain to have the links taken down. I just posted the message so people were aware. It's against the rules to post the link so I didn't post it. Besides, I didn't want anyone to be sleepy and just click on it. heh :) I gave you a 💙 also. It's a shame there's scammers in abundance everywhere. But I'm sure support will handle it, as always. ...be wary of black cats that wear white gloves? 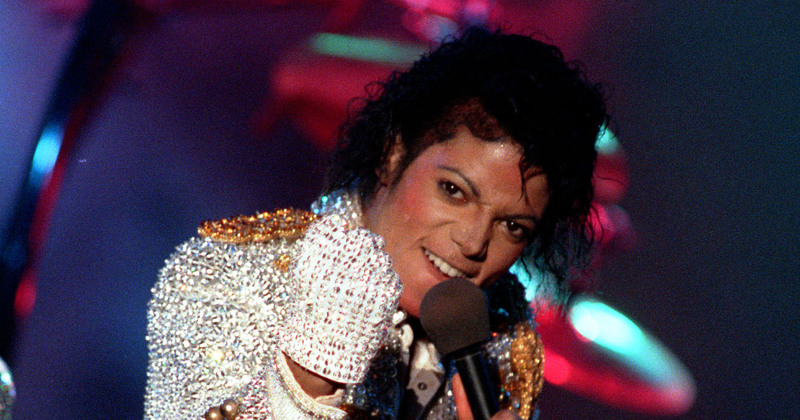 Well tbh, if anyone approaches you wearing white gloves.. look for an exit strategy. Unless ofc, you are in to that sort of thing. Hopefully they will respond soon. One of the support seems to be hacked too. Yeah, not joking sadly. I was trying not to call out anyone. I assume the suspension is temporary until he recovers the account. Sometimes there's benefits to being a loner! Is it odd to feel bad for getting left out of this social engineering ploy? Am I not as important? Closed 2 months ago by MSKOTOR.